We tested Haircare Oi DAVINES with beautifying oils. See the test’s results Oi shampoo, conditioner and hair lotion. Davines brand still doesn’ t belong among the well-known brands of hair care products in the Czech Republic, and it is certainly a shame. This relatively young brand was founded in 1983 when the Italian family-owned company Bollati started out a journey in searching of the best that cosmetics can provide for hair and skin. From the original research lab was developed the very brand of professional hair care for hairdressers in 1993- known today as Davines. The range is incredibly rich, has many series designed for different hair types and for solving various hair problems. I’ve had chance to experience products from series Oi Davines, which are based on extracts from Anatto oil. It’s a new series of hair care products for all hair types. So it was interesting to test it on my extremely dry, wavy hair. Oil content promised that satisfies even my hair type. So let see how I tested the series and what was the result. Series Oi Davines contains beautifying annato oils. Hair Cosmetics Oi Davines is Parabens free. 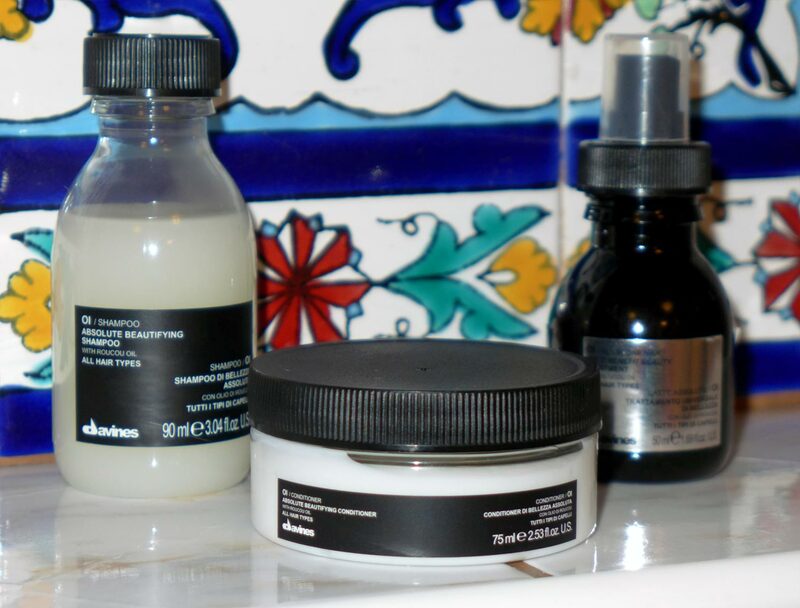 First, it is good to see what products are included in series Oi Davines and which products I tested within the series. The range includes Davines Oi Shampoo – shampoo that promises exceptional hair shine and softness, Davines Oi Conditioner – Hair conditioner designed to moisturize the hair and achieve extraordinary shine, Davines Oi All in one milk – multifunctional hair lotion for now-wash care, Davines Oi Oil – beautifying hair oil, and finally Oi Body Wash – smoothing and moisturizing shower gel. I tested threehair products from the whole cosmetic series: shampoo, conditioner and hair multifunctional lotion. 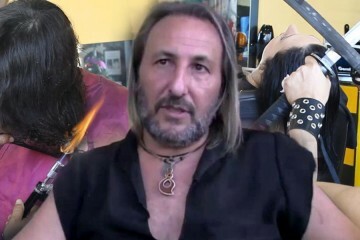 I am a bit sorry that I hadn’t available the hair oil Oi considering my hair type, but maybe the next time. Three tested products from series Oi Davines: Davines Oi Shampoo – Shampoo that promises extraordinary hair shine and softness, Davines Oi Conditioner – hair condicioner designed to moisturize the hair and achieve exceptional shine and Davines Oi All in one milk – multifuntional hair lotion for no-wash care. What does promise the hair care Oi by Davines? 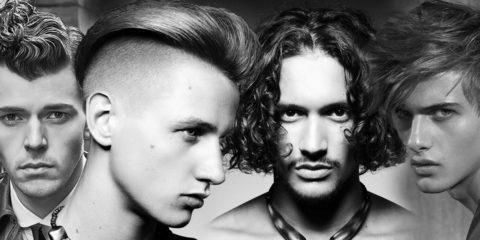 Before we look at the actual Oi Davines product testing, it is good to look at what actually Oi series promises to our hair. As I’ve already mentioned, the main active ingredient of the series are extracts from the annatto oil. This plant – Bixa Orellana, (achiote or annatto also) – one of the significant food colourants (known as E160b), and which is known also as an American saffron or false saffron. 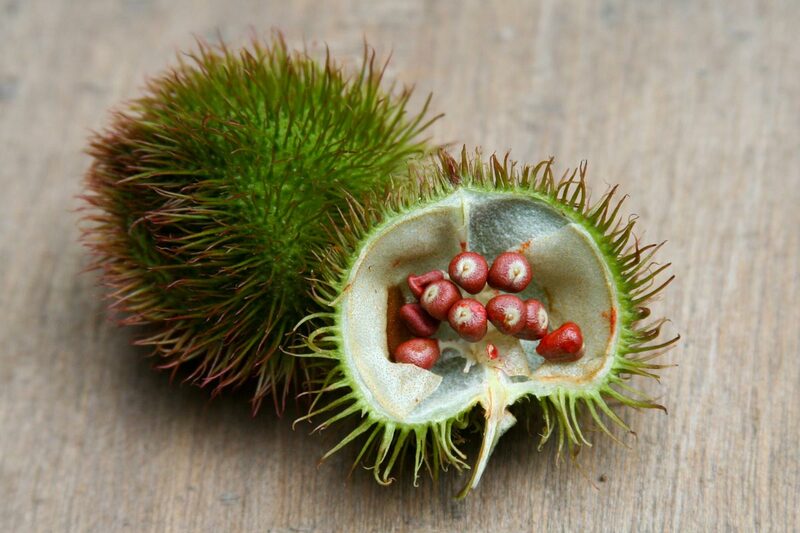 It is one of the most famous Amazonian woody plant, which grows to a height of about 10 m. Annatto woody plant contains huge amounts of carotenoids, especially bixin and norbixin. And just carotenoids act as powerful antioxidants which boasts also the series Oi by DAVINES. They contain extracts from the annatto oil. The products also contain apricot butter, which gives hair softness and moisturize them, provitamin B5 for deep hydration, breathable silicone to create a protective film on the hair and glycerin as an ingredient for nourishing hair. Series Oi Davines build its success on beautifying oils made from American saffron. 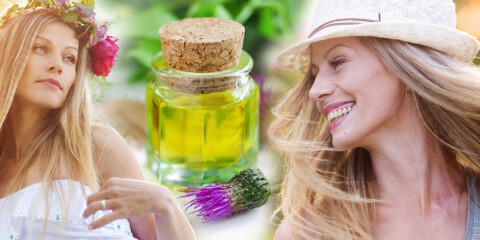 Annato oil contain huge number of antioxidants which we can use for our hair as well. The series Oi Davines is multifunctional and promises to clean up your little family bathroom from the excesses of various cosmetics, shampoos, masks, conditioners and post-wash hair detergents. It should satisfy every member of the household without any differences in hair type, the length or structure. Oi hair oil and lotion even promises to satisfy a woman with lust for sleek straight hair with a beautiful sheen, and a woman with curly hair. The second case I’ve tested. Before I´m going to describe the particular tested products from Oi series, it is worth to mention a few things concerning the series in general. I start with the smell. It is surprisingly intense, I would say sweetly fruity, but for me personally hardly compare with something. With scent like this one I ‘ve encountered in other cosmetics, although I can not recall it now. However, that smell is in my head for several days and I still have not discovered what it reminds me. For me personally it is very pleasant smell, just a little bit afraid that due to its intensity could collide with my perfume. In fact if you use the milk (or oil) from the series “day care” as I do you will smell intensely all the time. 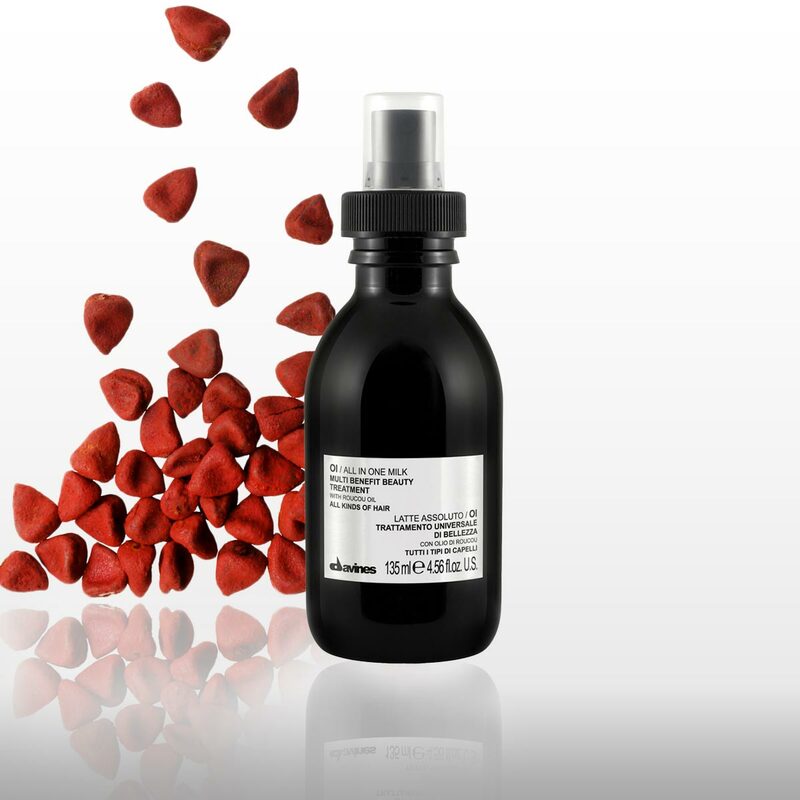 Regarding costs – the series Oi Davines is counted among professional hairdressing salons series. So it is a little higher than average but still not astronomical. Whoever buys quality cosmetics he is accustomed to these prices. The shampoo Oi DAVINES 280 ml costs $9.90, Oi DAVINES Conditioner 250 ml costs $14.90 and Oi multifunctional hair lotion 135 ml you can buy for $15.90. The most expensive in the series is then Oi oil DAVINES. 135 ml pack costs $19.90. But this one I did not test. 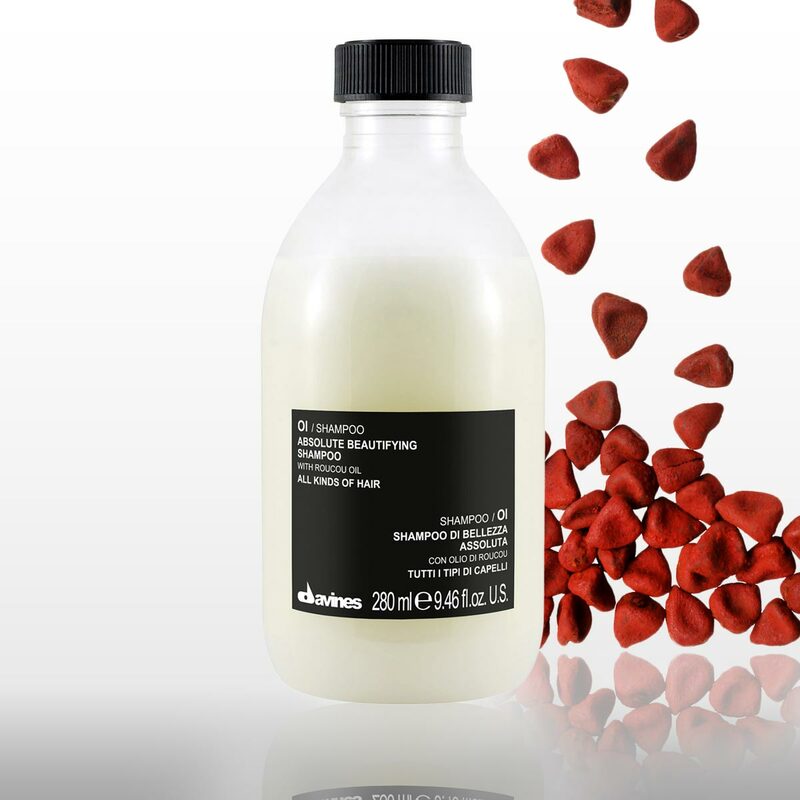 Oi DAVINES Shampoo has got medium thick creamy consistency. I used it directly without dilution, although I try the classic version for proper hair wash next time when needed dose of shampoo to be diluted in a small amount of lukewarm water. The shampoo is universal, it lathers well and it even managed my overdried tangled curly hair. Even if it could tell that doesn’t contain the sliding component which used to be added for this type of hair shampoo. But certainly this shampoo does not disappoint any member of the household, and if you decide to use the products Oi Davines series, use a whole series starting with shampoo. It is a guarantee that you get the absolute maximum from the series and their products composition. 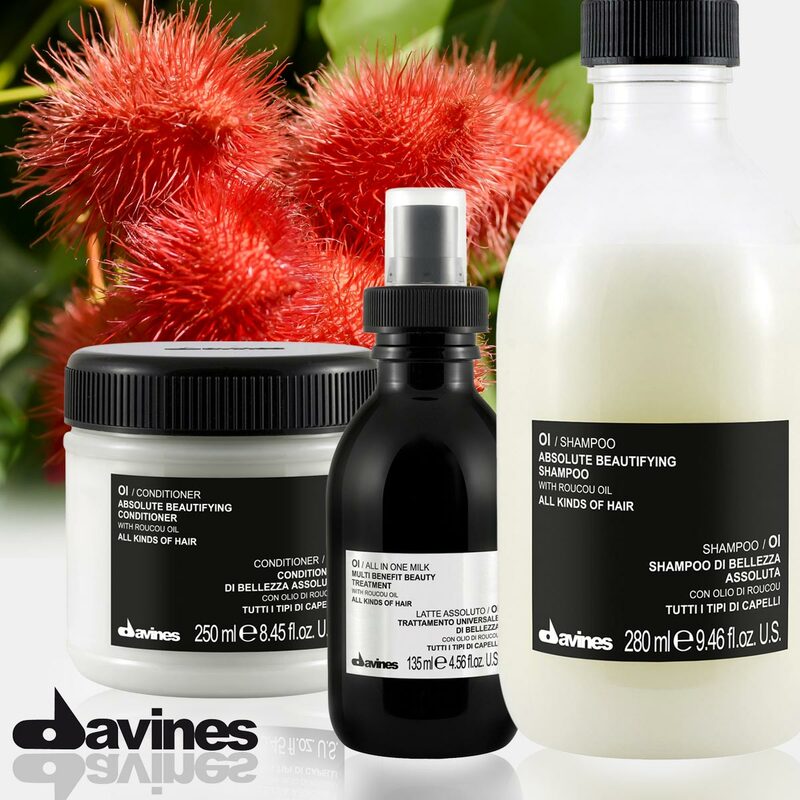 Davines Oi Shampoo imparts the hair shine, softness and smoothness thanks to extraxts from the annatto oil, I can confirm that based on the test. It is pleasant for washing the whole body as well which is recommended by the producer. It increases the elasticity of the skin and doesn’t contain any sulfates or parabens. 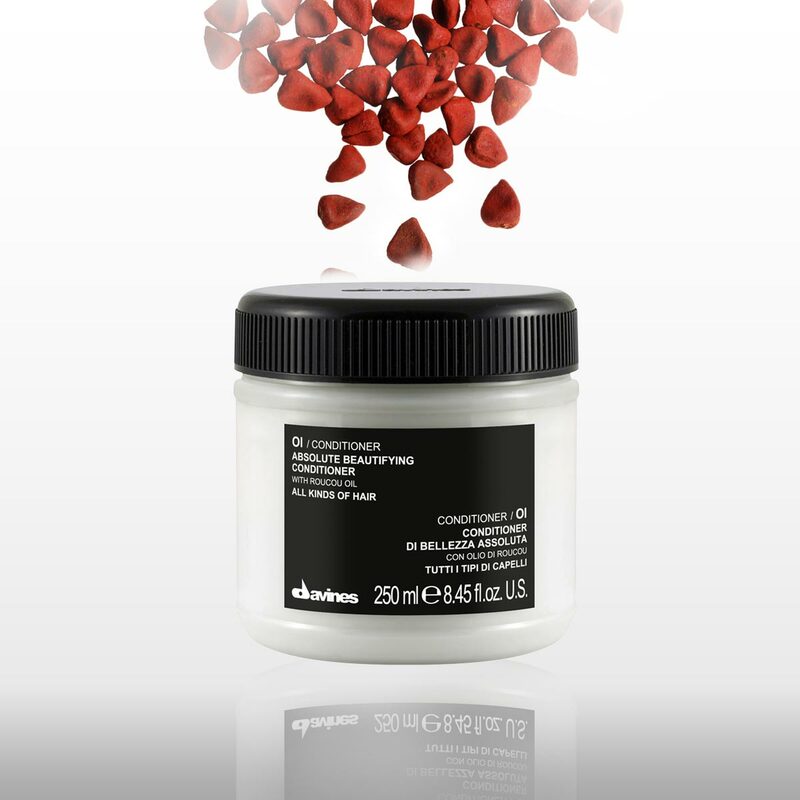 Davines Oi Conditioner promises to hydrate, nourish your hair and impart the exceptional shine and softness to it. It protects hair from heat sources and prevents hair drying. It is also applicable for the body, which I have not tried, but I’m sure I’ll test it next time. It doesn’t contain parabens. Davines Oi All in one milk for hair. The most important thing in hair care always comes up after washing. The selected cosmetics matters whether the hair gets rich or limp waves or my hair stays hydrated and shiny within entire week, or if my hair gets dry and strands disentangle this afternoon or the next day. So no-wash cosmetics as multifunctional milk Oi, it is an absolute necessity for my hair. When testing the milk Oi, I first applied lotion to wet hair after I only slightly had dried it with a towel. Then I applied regular hair mousse that I use for my hair type and then I finished my hair drying with dryer and conditioner after about an hour of natural drying. I must say that the result was clearly better than when I treat the hair without Oi milk. Waves are not so rigid as it is thanks to styling mousse but they are incredibly flexible and richer than usual. Thus, I can only look after regeneration care in hairdressing. Hard to say if the main “culprit” of just so perfect waves is Oi milk Davines or combination of several Oi hair care products. But again, it is always better to bet on the same series of products for the entire process of hair care. Davines Oi All in one milk I applied directly to the hair after washing with hand pump which is part of the product. Next days I used milk on dry hair to eliminate frizz which always occurs gradually after washing where there are new dried and crimping hair every day. But Milk Oi managed to keep hair disciplined all week until the next hair wash. I applied it always applying on hand, a slight smearing on the palm and then the application to the supreme volume of hair. In addition, hair lotion intensely scented and gave them extra sheen.